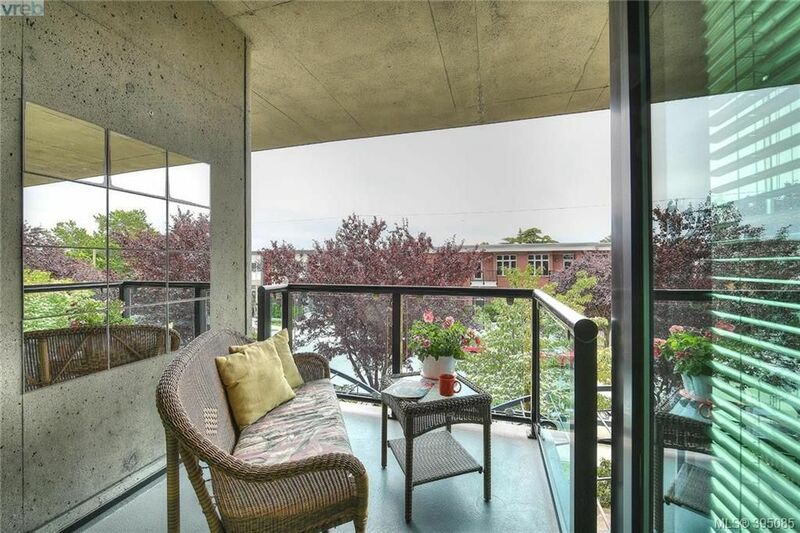 The Reef, one of Victoria’s sought-after steel and concrete residences in the heart of James Bay offers lifestyle amenities in every direction! 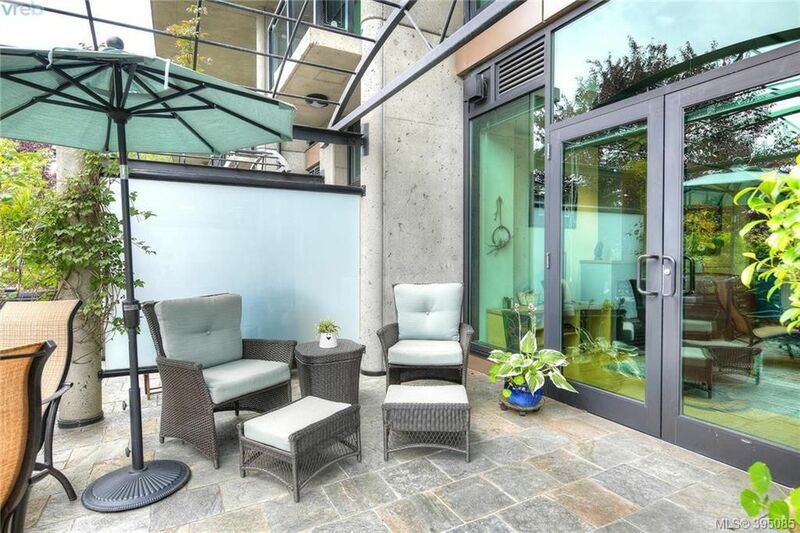 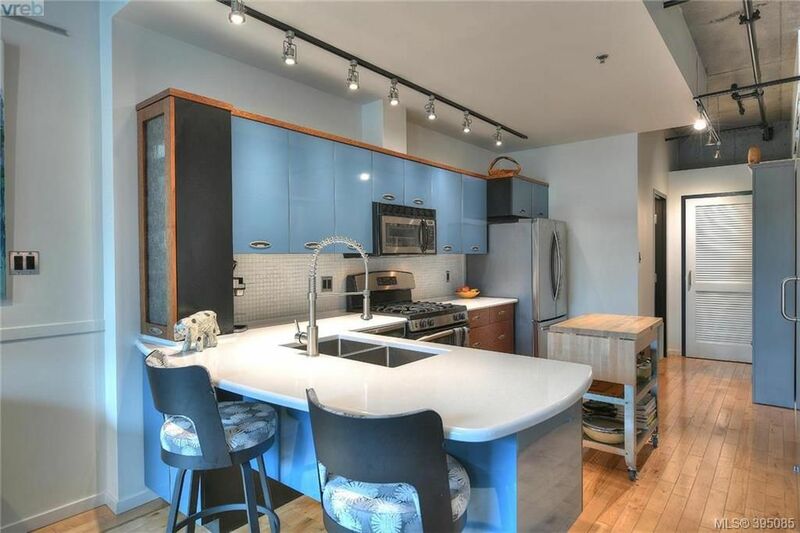 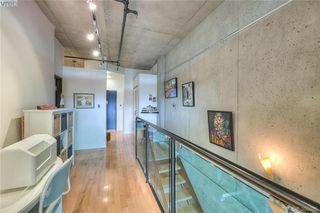 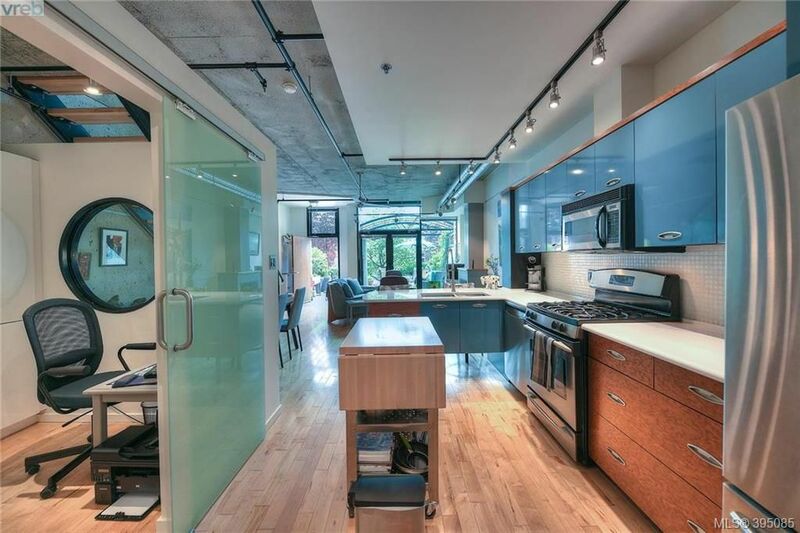 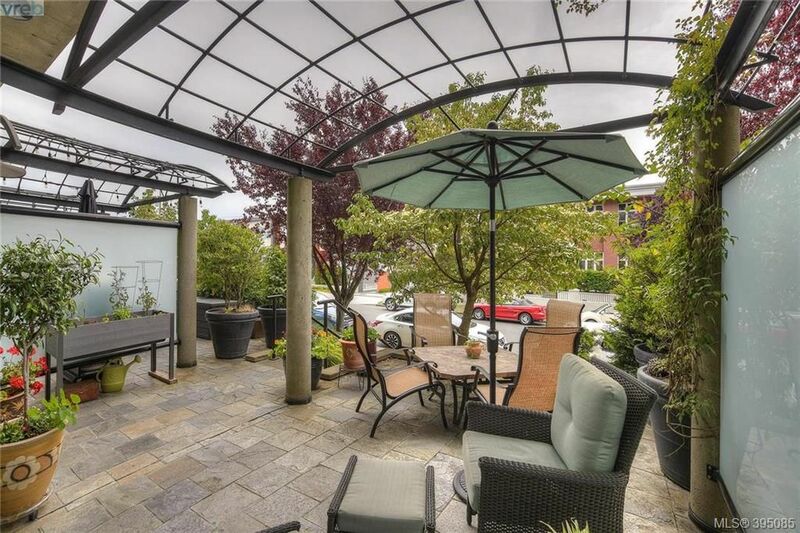 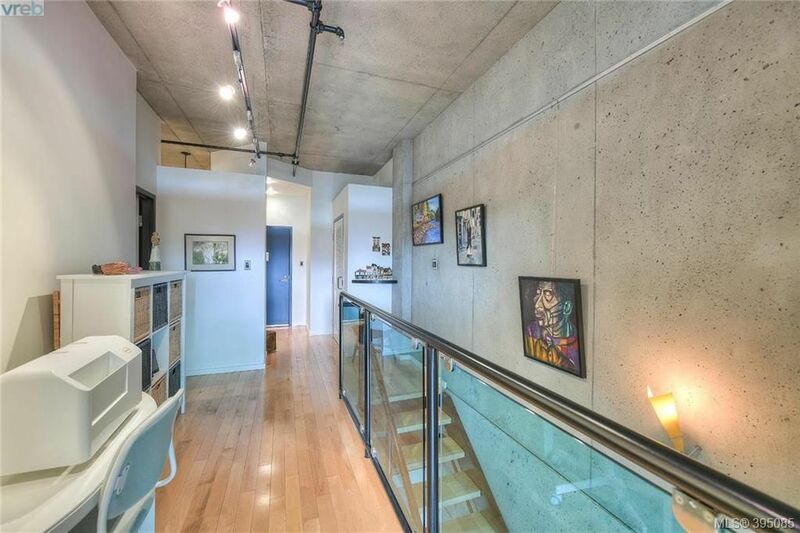 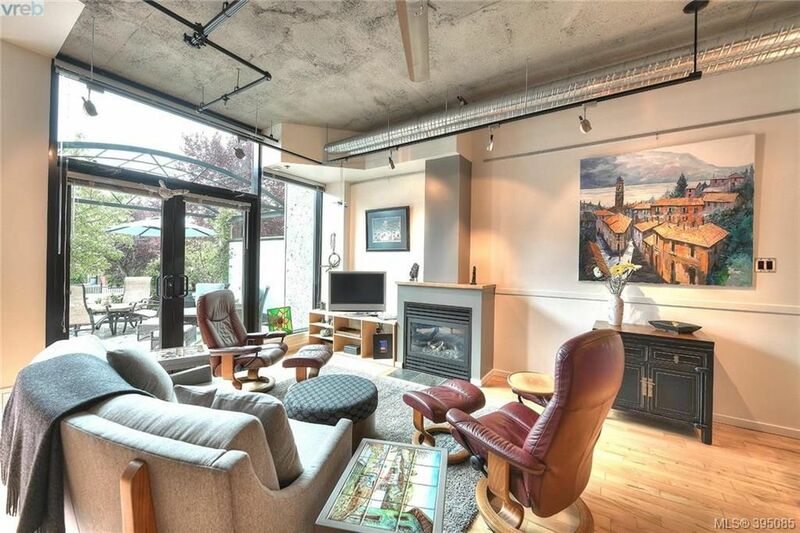 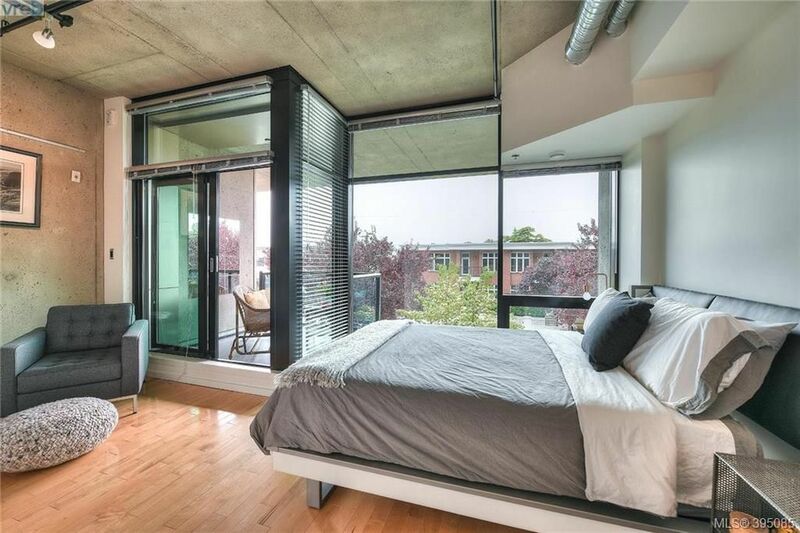 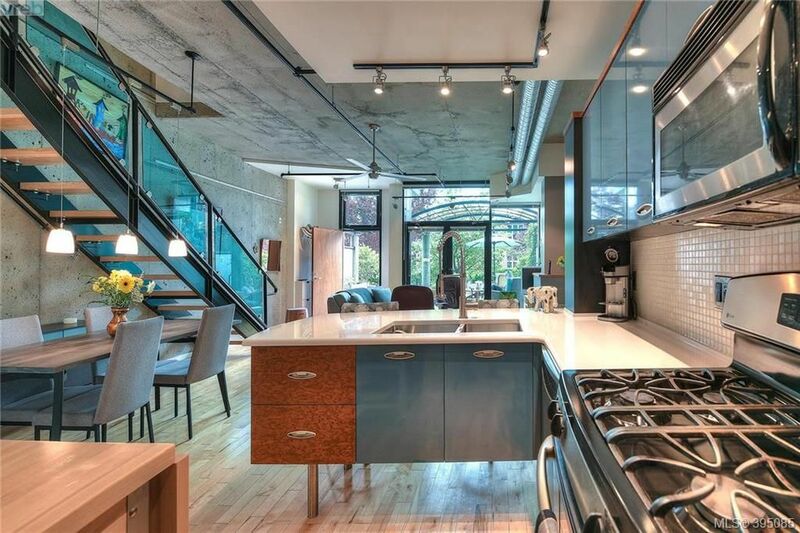 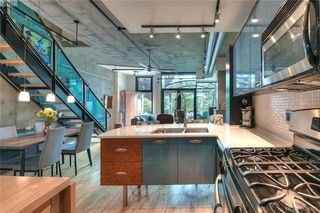 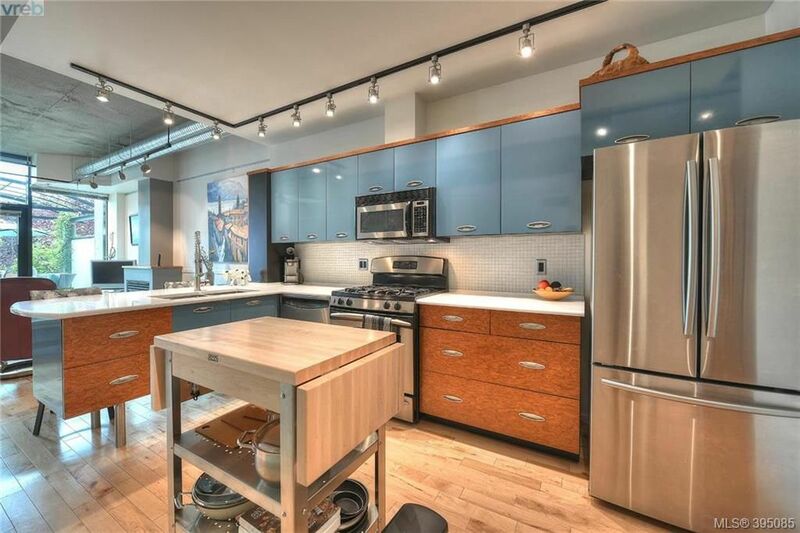 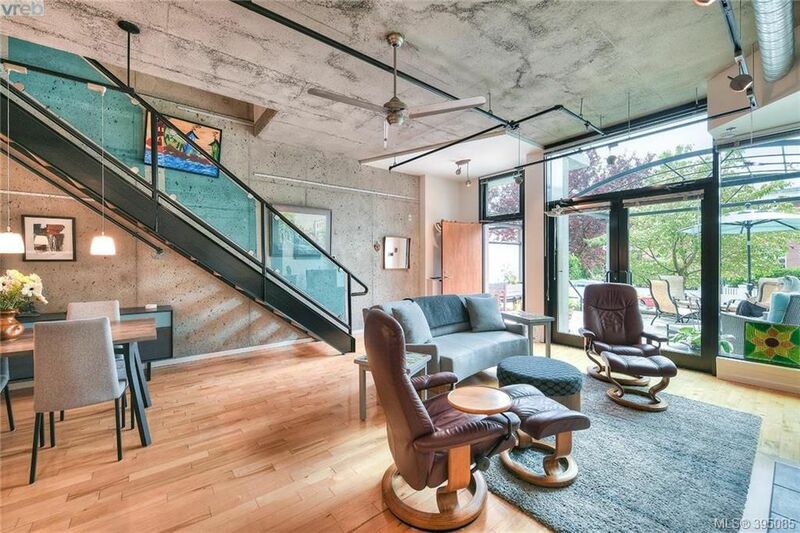 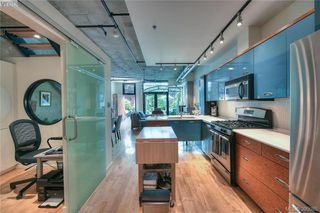 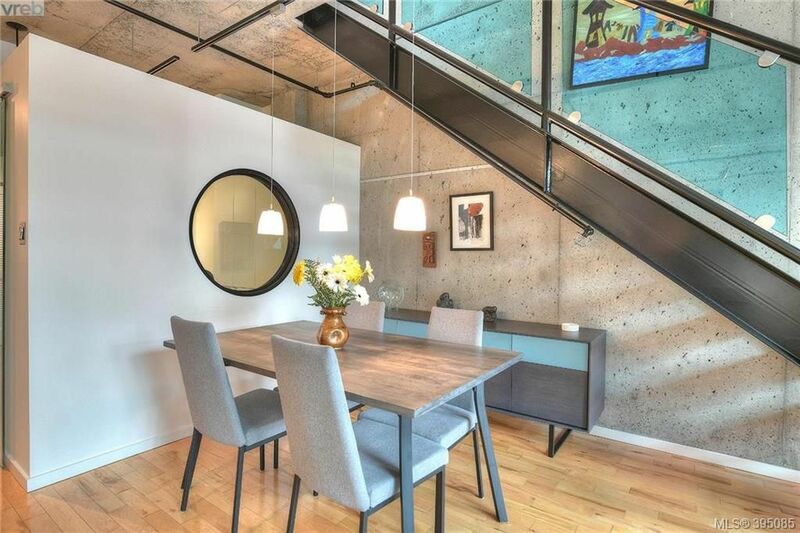 Contemporary design featuring an open main floor with 10 ft. ceilings, hardwood floors, built-ins, den/office, and french doors opening to a large south facing terrace. 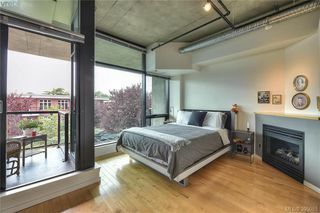 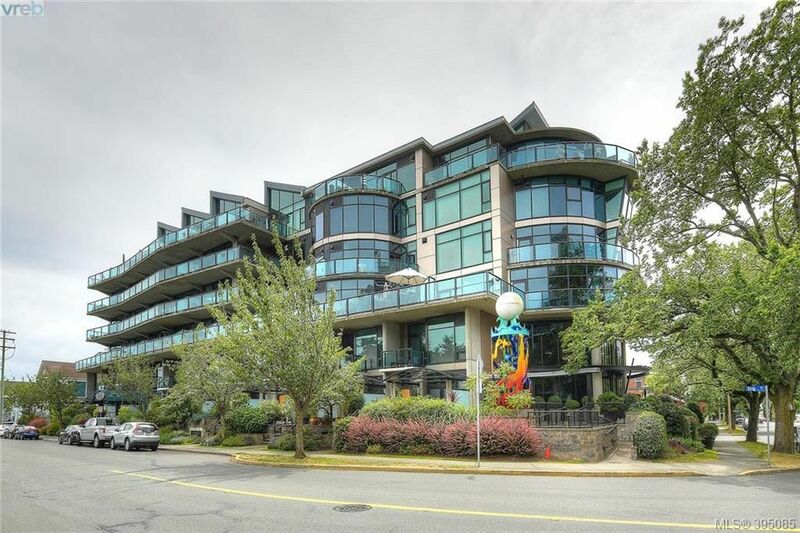 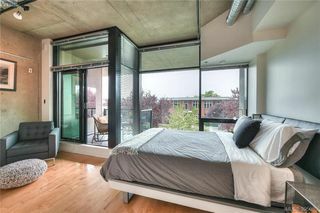 Upper level features a bright master suite with floor-to-ceiling windows, ensuite bath and gas fireplace, additional bedroom, laundry, and a private balcony with water view. 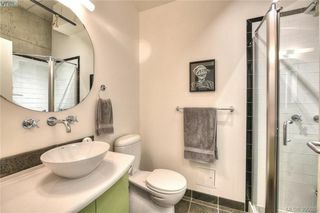 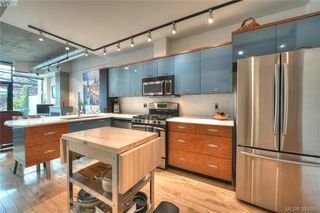 Recent upgrades include new quartz countertop, kitchen sink and paint throughout. 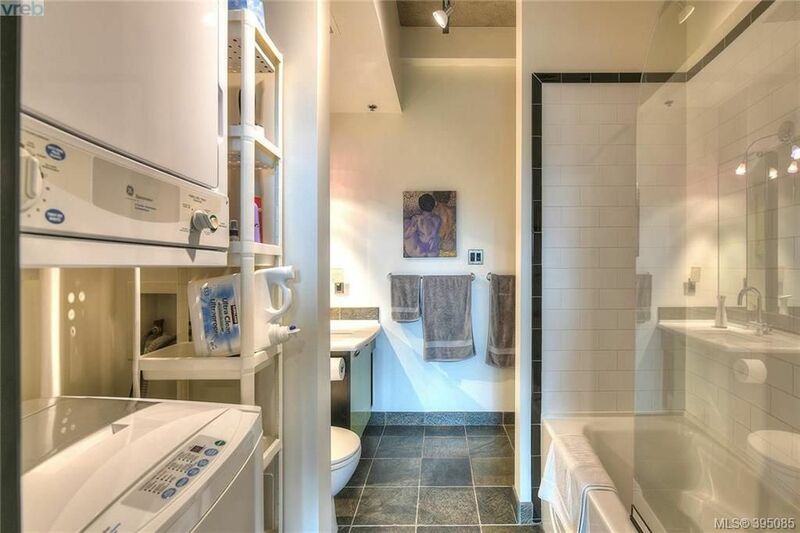 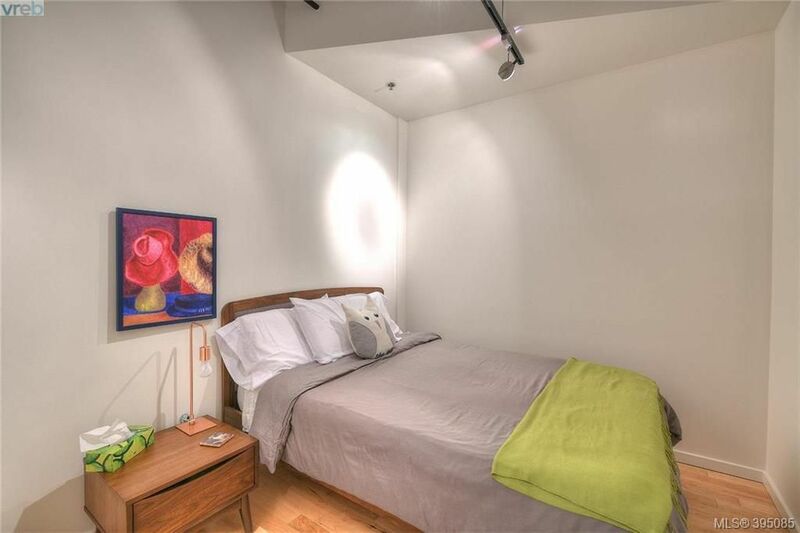 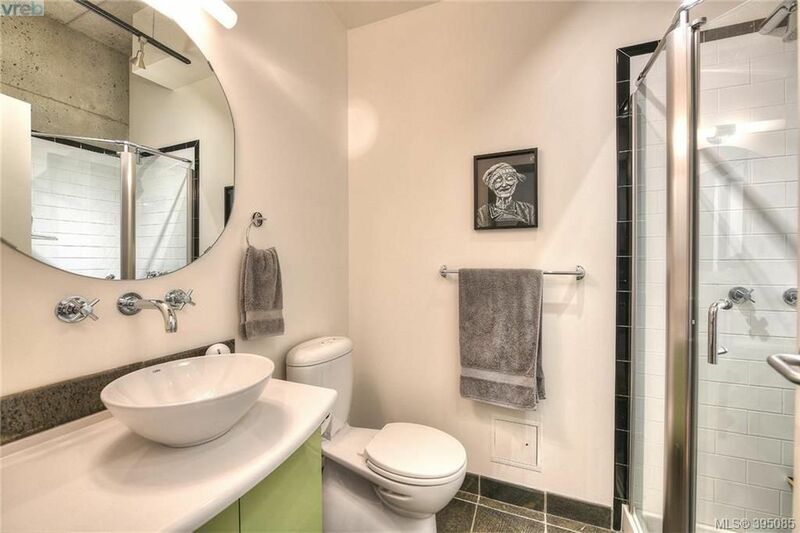 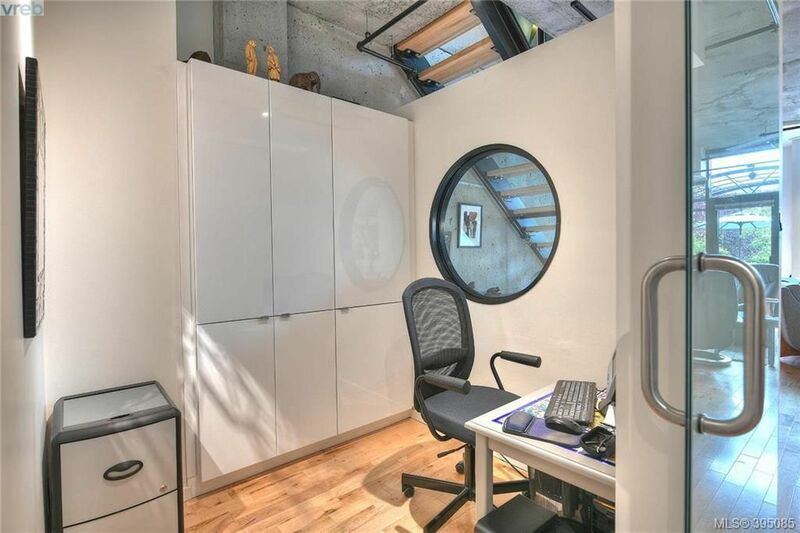 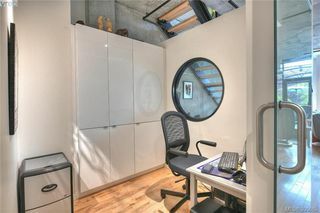 Located on the quiet side of the building, this unit includes one underground parking stall and storage locker and allows rentals and pets. 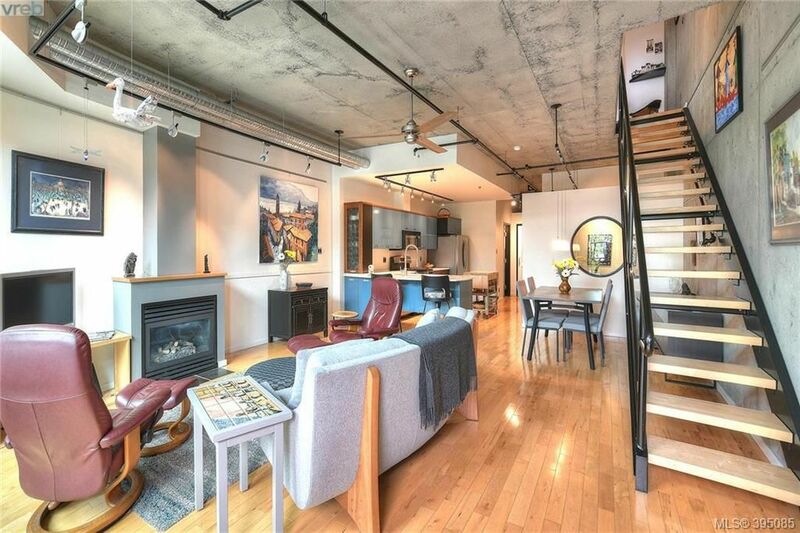 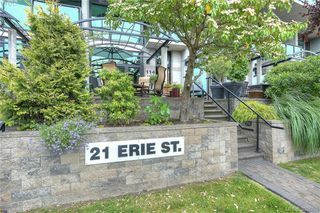 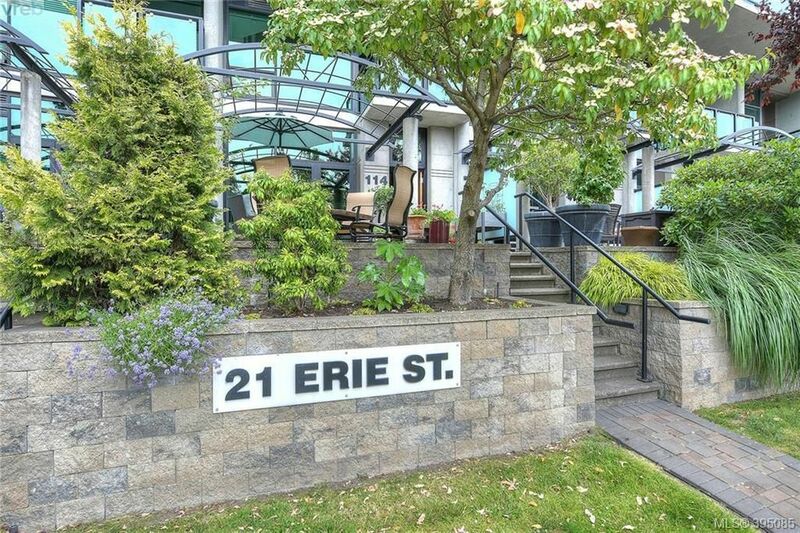 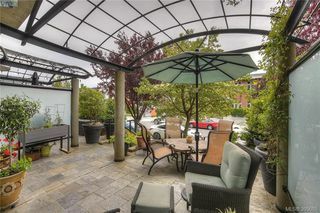 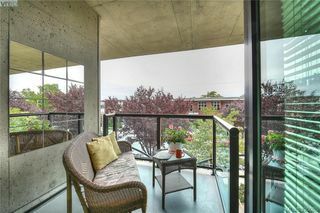 Convenient walking location to downtown, Fisherman’s Wharf, Ogden Point, dining, entertainment, and more!